1 Who is Bob Harte? 5 Do You Know How Rich Bob Harte Was? 6 Do You Know of his Married Life, Children and Divorce? 8 How and When Bob Harte Died? 9 Bob Harte Body Measurements, Height, and Weight. Bob Harte was born on the 23rd January 1951 in Jersey City, New Jersey USA, and was a survivalist, best known to the world for being a part of the reality TV show “The Last Alaskans”. He came to prominence for his happy-go-lucky character and his dedication towards living in the Alaskan wilderness. He spent 40 years in Alaska, isolated from the outer world, before passing away in 2017. Bob was one of four children, born to Vernon and Eleanor Harte and spent his childhood in Jersey City; growing up, Bob was just a regular boy, playing baseball and other sports, but once he became under the influence of his grandfather, he became interested in trapping, and construction skills. He would often go hunting and fishing, falling in love with nature at an early age. After matriculating, Bob enrolled at University, but after a short stint he decided that tertiary education was not for him, and moved to Alaska. Encouraged by his grandfather who taught him about trapping and surviving in the wilderness, Bob, always adventurous, found a place for himself on the Alaskan trap line. As his skills developed, he participated in the Russia/USA trapper exchange program, earning a name for himself, and also bringing Russia and the USA a little closer together, both politically and culturally. Gradually, Bob was becoming more popular in the outer world, and he was approached by the producers of “The Last Alaskans” documentary show, that premiered on Animal Planet in May 2015, but since then moved to the Discovery Channel. Bob featured in two seasons of the popular series, and gained a massive following. His free-wheeling personality and quirky character made him one of the most loved members of the show, other cast members including Edna Korth and her husband Heimo, Tyler Selden and his wife Ashley. This made him a star, and certainly increased his net worth. When he wasn’t filming the show, Bob worked as a carpenter for the Brinkley family, which also helped him financially. However, he remained focused on his hunting, fishing and other outdoor activities that helped him provide for his family, which included wife Nancy, daughter Talicia, his stepson Travers, and foster son Steve. Do You Know How Rich Bob Harte Was? Although living free in the Alaskan wilderness, he still managed to earn a decent amount of money through his various endeavors, but primarily through the documentary show “The Last Alaskans”. So, have you ever wondered how rich Bob Harte was? According to authoritative sources, it has been estimated that Harte’s net worth was as high as $600,000, an inheritance left to his ex-wife and his children. Do You Know of his Married Life, Children and Divorce? When he left for Alaska, Bob was already married, but his wife, Nancy, didn’t follow immediately. Instead, she joined him a couple of years later and the two spent the next forty years in relative isolation from the outer world. However, the couple divorced along the way, but not before welcoming their only child, Talicia, who now has her own daughter, named Carmelia. There are no details when the couple actually married and divorced. Although an excellent trapper, Bob had a few encounters face to face with the wildlife of Alaska. Every time he left his cabin, Bob would get into some kind of trouble, either it would be wild animals or fires, and he even shot himself, plus other incidents, such as crash-landing his own prop plane, falling off his cabin wall, swamping his boat in the ocean, and he even underwent a brain surgery. Still, Bob outlived all the incidents and never surrendered. How and When Bob Harte Died? Bob faced danger every day, but it was cancer that eventually got him; in early 2017, Bob was diagnosed with cancer and had to leave Alaska and the TV show. Once in mainland USA, he started receiving treatment for his disease, and recovered well enough to return to Alaska and the show. However, he passed away in his sleep on the 22nd of July 2017. 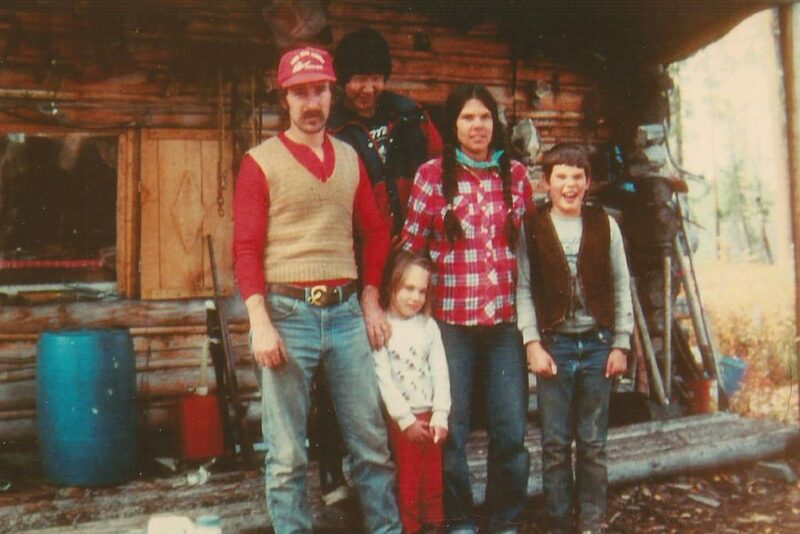 The night before, Bob had his celebration of life ceremony, during which he sat around the fire with his closest friends and family, including his daughter and granddaughter, and ex-wife Nancy, who was with him once he returned to Alaska and his cabin in the Arctic National Wildlife Refuge. Bob Harte Body Measurements, Height, and Weight. In order to survive in the wilderness of Alaska, you have to be tall and strong, and Bob was just that. So you are probably wondering how tall Bob was – he stood at 6 feet (1.82cm), while his weight was 80kg or 176lb. There are no details about his vital statistics, hopefully, such info surfaces in the near future.